Flower Garden Featured For Valentine’s Day! Two years ago, when I was working on the first release of Flower Garden, Valentine’s Day was my target ship date. Unfortunately (or fortunately depending on how you look at it), I missed it and rescheduled it for April. 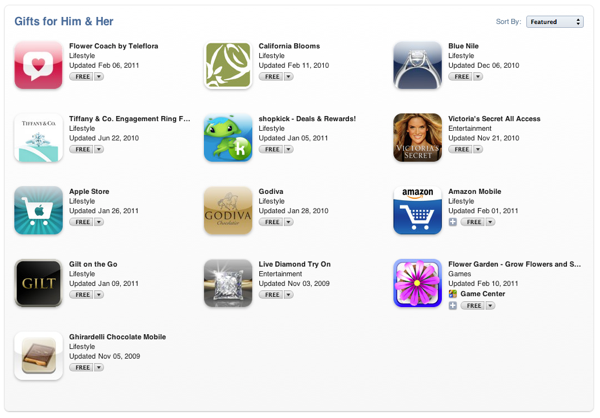 Last year I was eagerly awaiting the Valentine’s Day features hoping for a feature by Apple, but Flower Garden wasn’t one of the apps to be selected. It was disappointing but understandable given how many newer quality apps are out there. Fast-forward another year, and this morning I woke up to a very pleasant and unexpected surprise: Flower Garden was featured on the App Store under Apps For Valentine’s Day! Flower Garden is still going strong, but I wasn’t expecting that at all. Thank you, Apple! Not only that, but this feature also appears on the device App Store. 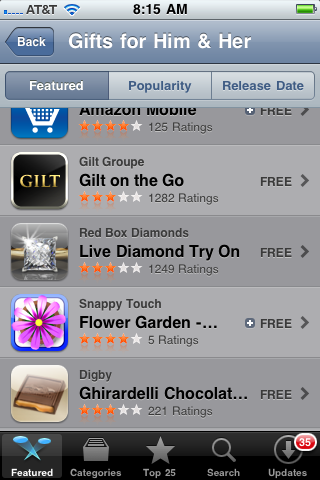 Flower Garden was featured twice before by Apple, but never before on a spot that appeared on the device. So that’s a first for Flower Garden! To make things more interesting, I had been planning on doing a bit of promotion around Valentine’s Day like last year. 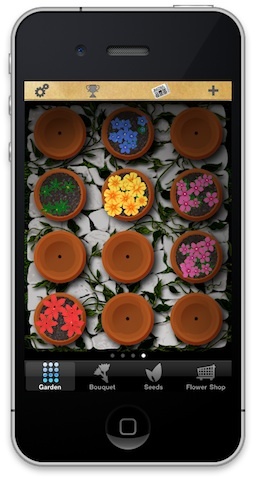 So a few days ago I released a new update, and included another in-app purchase for the most asked-for feature: More pots in another garden space. 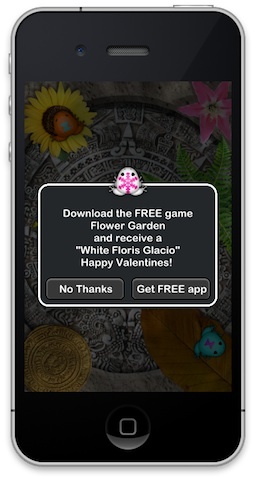 Finally, to round things off, I planned on doing a similar promotion to what I did last year around Mother’s Day, and I set Flower Garden to be free from today until Valentine’s Day to encourage even more people to try it. To get the word out of the price drop, I got some promotion going from Pocket Frogs and a few other apps encouraging users try out the now free Flower Garden. I’m also hoping a few media outlets cover the sale to get the word out as much as possible. As of this moment, Flower Garden is in the top 100 apps in the US and in the top 50 games, so the combination of everything seems to be working. We’ll see how things develop over this coming week. Until then, it’s going to be an exciting ride.